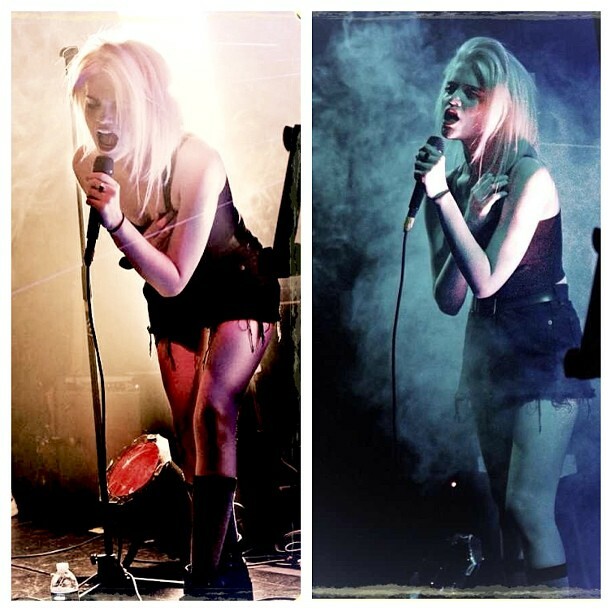 Sky Ferreira performs at The Bootleg Theater this past April. Sky Ferreira. Act like you don’t already follow her on Twitter – as if you haven’t Googled her, or checked her out on Wikipedia. Now check again. Before you can hit refresh, there might be another paragraph. She's co-written and recorded with half the Billboard chart, survived in Hollywood and on the Lower East Side,seen the world from thirty-five thousand feet, been shot by every photographeryou can name off the top of your head. Now get one thing straight: Sky was singing first. Just click on her piano-and vocal only cover of Mike Snow’s 'Animal' on YouTube for your evidence that herother skills might pay the bills, but music is her life and her voice is bonafide. Her 2011 debut EP As If! hinted at her soulful range and stylistic versatility. But if you think it prepared you for the step Sky’s about to take on her first long-player, think again. She’s hard at work with a hand-picked team of collaborators. And this time she’s in charge, making the record she wanted to make all along. Sky's show at The El Rey on September 29th go on sale this Saturday at this LINK.